Successfully Added Android 4.1 Dual Core TV Dongle "DCDongle" - DLNA, 1.6GHz CPU, 1GB RAM, 4GB ROM to your Shopping Cart. Android 4.1 TV Dongle featuring DLNA, 1.6GHz dual core CPU and 4GB flash memory is the ideal choice when wanting to transform your front room into an Android arena. 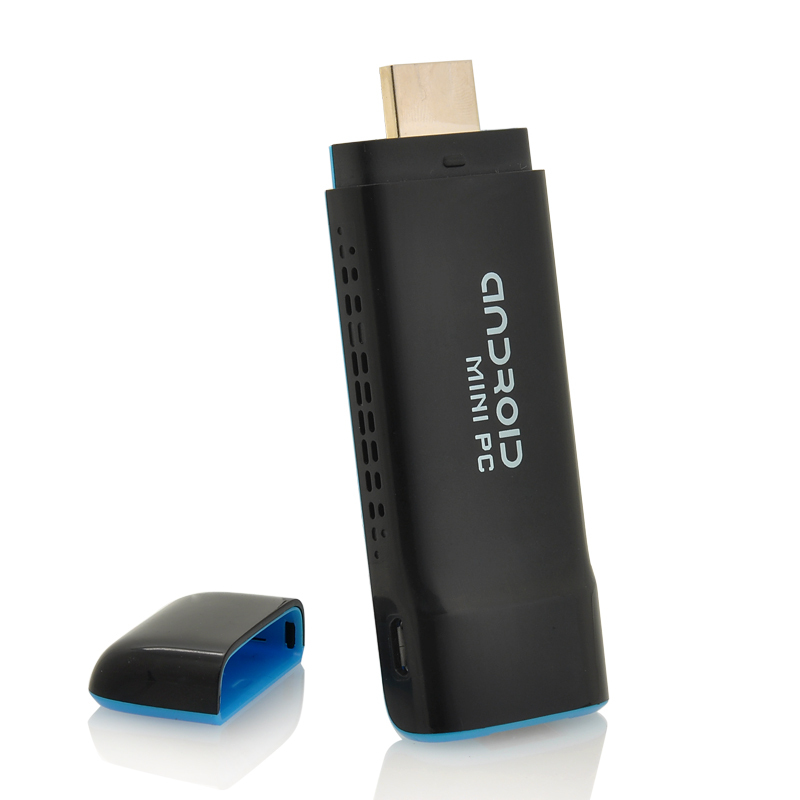 Bring Android 4.1 directly to your TV with this great Android 4.1 TV dongle “DCDongle” that features 1.6 GHz dual core CPU and DNLA ability. The 4GB of internal flash memory allows the user to store videos, music, photos and other types of media data. Take social media such as Facebook and Twitter to the next level by accessing them on your TV or play some of the great application games designed for Android also in your front room; the “DCDongle” can do this. A new feature to this TV box is DLNA, which makes it is easy to stream music, video and other media around the house without any hassle. DLNA (Digital Living Network Alliance) is designed to act as a bridge between your various bits of kit, so you can watch a film from your PC on your big-screen TV, play an MP3 from your smartphone on your stereo, or send shots from the family photo album to your wireless printer. 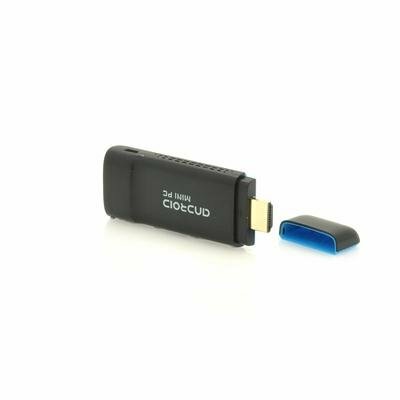 This “DCDongle” mini TV box also boasts a dual core CPU processor making it twice as fast as a regular single core processor TV box, therefore running several apps simultaneously will not prove a burden for this TV box. WiFi N is available on this mini TV box resulting in a faster and more stable connection thus allowing a better rate for streaming videos. Running Android 4.1 Jelly Bean, the “DCDONGLE” has one of Android’s most advanced operating systems. Not only is Android 4.1 fast, but it also gives you a high level of customization options and a big app store with more than 700,000 apps. Install any app such as YouTube, Facebook, Angry Birds or Twitter and the “DCDongle” will run it with ease. Android is changing to stay ahead of the competition and it brings itself from your mobile phone to your front room with this Android 4.1 TV Dongle “DCDongle”. In stock now, we guarantee next day shipping and offer a 12 months warranty on all our products. Brought to you by the leader in electronic devices and smart TVs, Chinavasion. Can share files from phones to TV. Control TV dongle by phones via installed software. Supports DLNA for media sharing in your home network. Works easy, almost as an pc. Very goodlooking and easy 2 use 4 that price! Needs a wireless keyb/mouse system to use it in freedom when watch tv from the seats. Who want to sit near the tv to use a smart tv? Every tv dongle need a redesign it could be better. Specially connecting all kind of wires on it. Result? It's a mess .